After finding an old and, unfortunately, exposed roll of film a few days ago I wanted to see if it could be turned into a classic knotless gift bow with a twist. 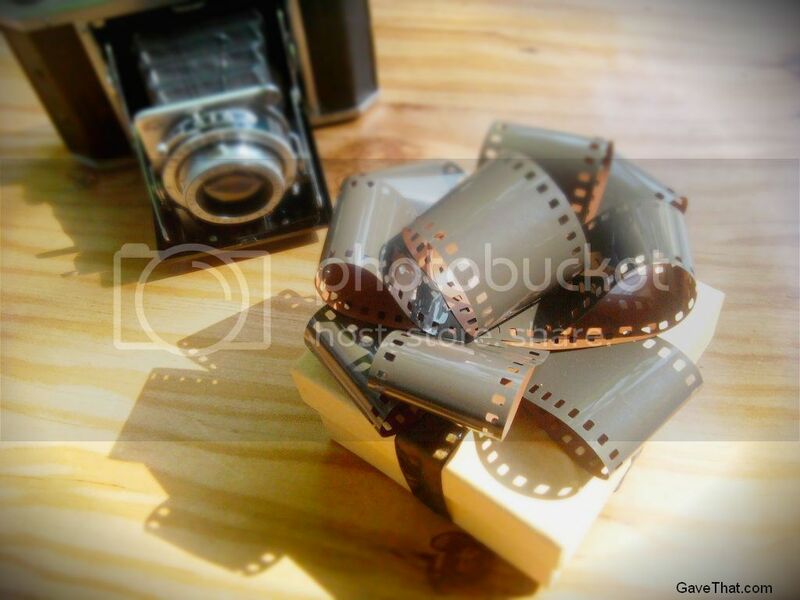 Here's the result and how you can make your own camera film gift bow too! 1) The above measurements should equal 1 roll of 24 exposure film. For a fuller bow or if you have more film double everything, 4 pieces 10 inches long and 2 pieces 8 inches long. 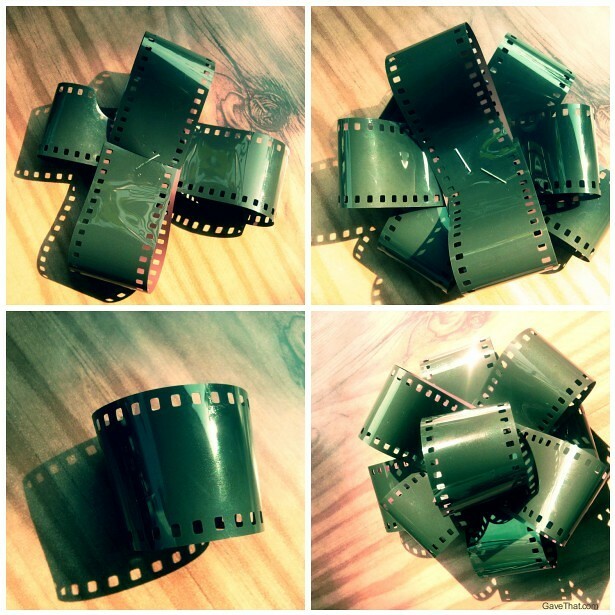 Taking each cut strip of film fold the each end inward to the middle and staple, forming a loop at each end. 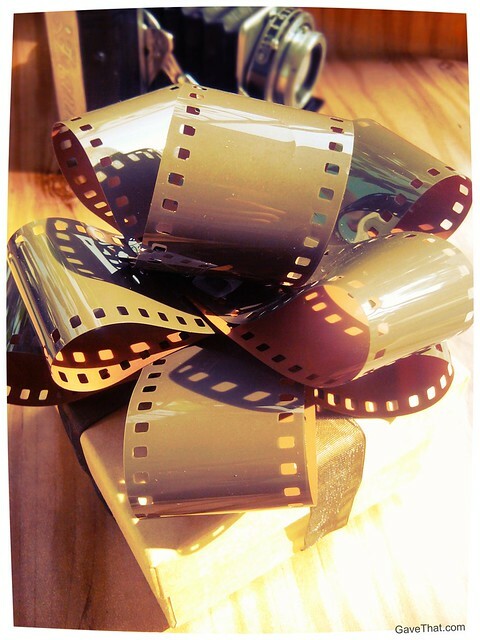 Repeat with each pieces of film except the 2 inch piece which should be rolled into a round circle and stapled closed. These same steps can be used to create gift bows out of all sorts of other materials as well including Japanese washi paper tape (see here), wrapping paper, natural papers (see here), newspaper comics, ribbon and recycled magazine pages. Since these aforementioned materials are thinner compared to the camera film doubling to make it full is necessary (see here). For the above bow embellished with buttons see my past post here and lot's more gift wrap ideas be sure to visit the gift design inspiration area of the blog here.